Denna produkt ger dig 607 bonuspoäng. Vagnsset med 4 personvagnar, totallängd över buffertar 45 cm. 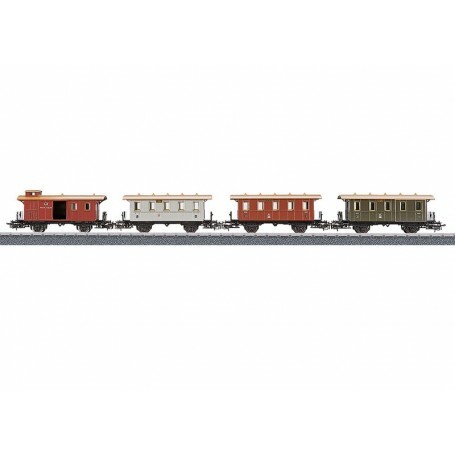 Prototype: 1 each passenger car in 1st/2nd class, 3rd class, 4th class and 1 baggage car with a raised conductor's compartment. Model: The cars have Relex couplers. Total length 45 cm / 17-3/4'. DC wheel set E700600.